Archive for Full Moon wo Sagashite. If you don't own any Full Moon wo Sagashite DVDs, you're wrong. 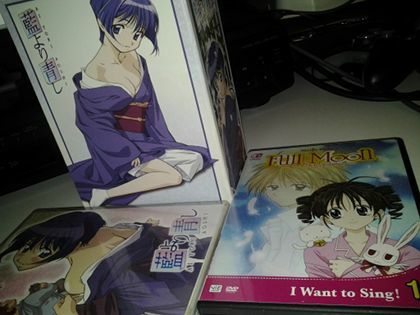 How many Full Moon wo Sagashite DVDs do you own? I have seven, and I would own more except there hasn't been a new release since December 2007. 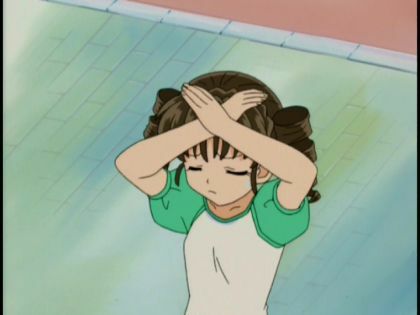 Given the shape of the current anime market (i.e. the bubble popped—predictably, I might add), it makes me worry if we'll ever see the six or so remaining discs. 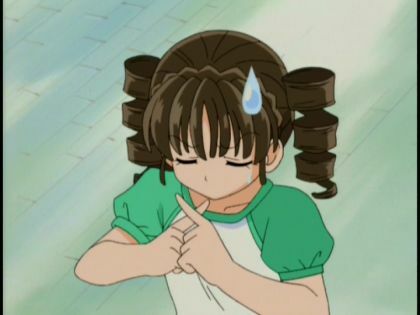 If you've never watched Full Moon wo Sagashite, you're really wrong. 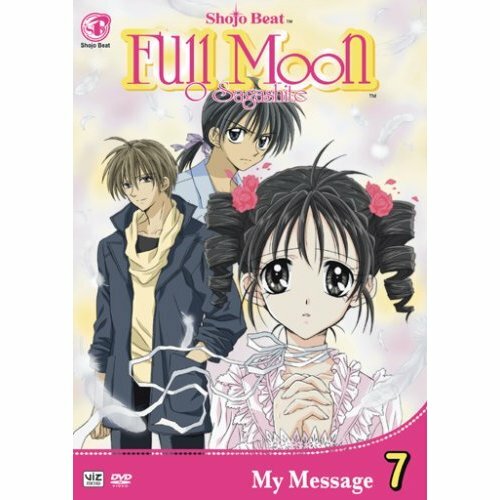 I understand Full Moon wo Sagashite is somewhat of a difficult title to market. For years, it was often lamented as one of the "this will never get licensed, EVER" shows along with To Heart and Kokoro Library. Well, we got two out of three, but Full Moon wo Sagashite is 52 episodes long and a shoujo clock show to boot. It's got one of the best endings of all time, but how do you get people there? 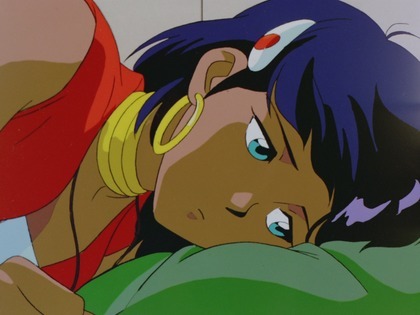 Gunbuster has one of the best endings of all time, too, but it's only a six-episode investment. How do you convince people to commit to a 13-disc series? Hell, I went years without watching even a minute of the show despite hearing exceptionally rave reviews from people with established credibility I could trust. And I watched it for free. 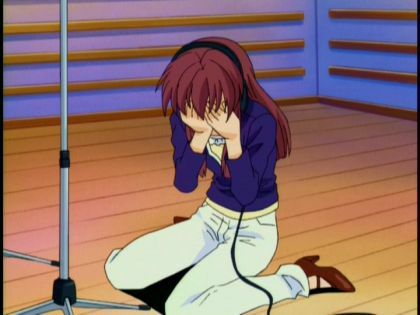 But, come on, it's about a 12-year-old girl dying of throat cancer who transforms into a 16-year-old girl to become a singer. You're going to have to trust me on this one. But it's more than that. I finally decided to give it a chance after seeing a screenshot featuring two shinigami characters. Now, I had watched enough anime by that point to develop a mental image of what shinigami might look like (and no, they weren't anything like Momo, and only a little bit like Rukia). 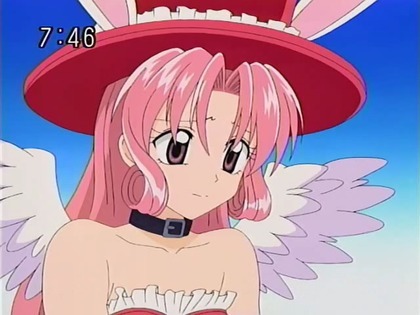 Meroko and Takuto were not what I had in mind. 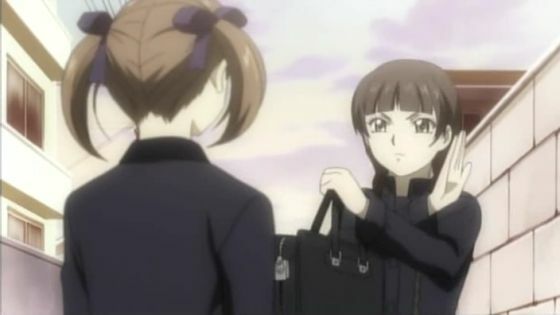 Daniel and Momo from Shinigami no Ballad. So I figured Full Moon wo Sagashite had to be at least a little different. I set my reservations aside and gave the show a chance without preconceptions. Turns out, it is different. And it also turns out Full Moon wo Sagashite is really damn good. 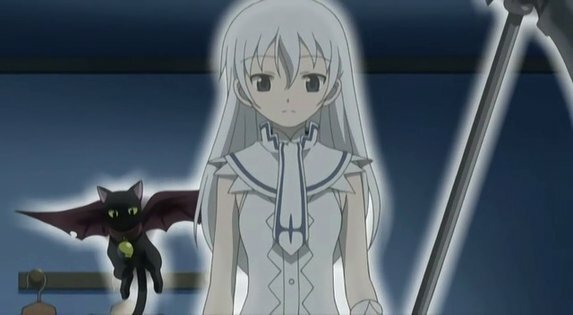 Madoka should have believed in Takasu who believed in her. This is one of the very few shows I broadly recommend. And I also encourage all y'all to buy the DVDs, because quite frankly I suspect the title probably could use more sales. I hope the long interruption since the last release (with no release date for the next installment in sight) isn't indicative of abandonment—but even if it is, maybe it's time to put your money where your mouth is. That is, just how committed to "supporting the industry" are you? If ever there was a series that deserves it, it's Full Moon wo Sagashite. This is the cover of the last R1 Full Moon wo Sagashite DVD released. I just wanted to point out it has now been more than a year since the last Full Moon wo Sagashite DVD was released. MORE THAN A YEAR. You know who didn't have a year? Still miss Pioneer. Still bitter about Viz. 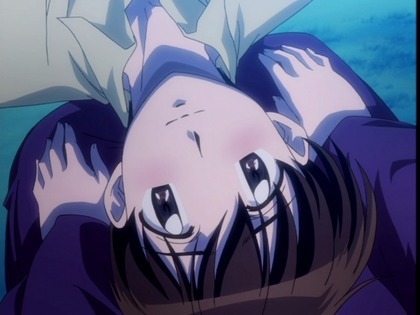 In observance of the 10-year anniversaries of their first airing, I've started re-watching Ai Yori Aoshi and Full Moon wo Sagashite this season as well, rationing myself to a single episode of each per week to roughly approximate the original broadcasts. 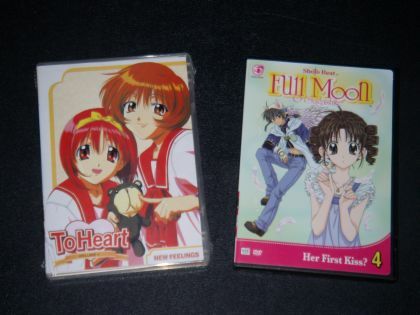 I have all the available (R1) DVDs of each series, but I'm going to run out of Full Moon wo Sagashite once I reach the end of its seventh volume, as Viz never released the second half of the show. All the episodes are available in streaming format, but it's not the same. 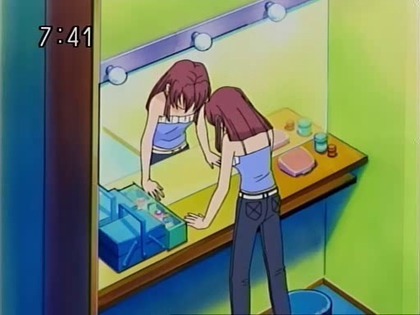 Pioneer, on the other hand, did an exceptional job with its Ai Yori Aoshi DVDs and collector box—arguably better than the series deserves, considering how far the anime falls once the setting relocates from Kaoru's little apartment to Aoi's massive mansion and a bunch of cockblockers move in. 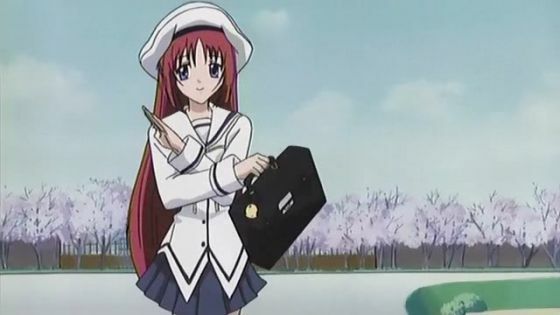 It also occurs to me that I've been blogging about anime now for more than 10 years, although the very early posts were honestly more sporadic than regular. 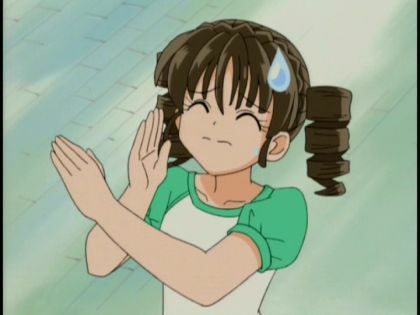 I should dig up and incorporate those old archives to see just exactly how many anime blog posts I wrote back during the Geocities days. Numerous sources, including Anime News Network reported seiyuu Honda Chieko died 18 February 2013 at the age of 49 from cancer. 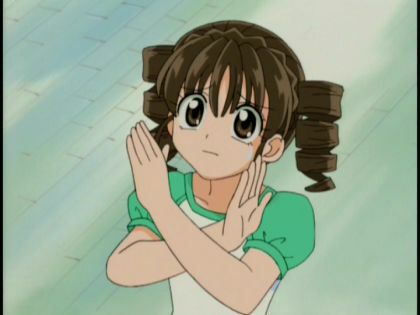 Among her many roles, she voiced the shinigami Meroko in Full Moon wo Sagashite, the show I consider to be the best anime of all time. 49, sigh. That's much too soon.